What do you think will happen in this meeting?? My Dog received the sight of a friend..! Hello friend leeuw .. hahaha in this case nothing happened, they stared at each other and odiously the dog ran away .. Thank you! Wanting to enjoy and share my donation is a very noble idea, this makes me doubling my donation right away. I thank the STEEMIT blockchain which delivers constant stream of rewards thanks to your and other steemians quality postings on the platform! I trust that you will accept this second donation. Many thanks again for your inspiring work! I am amazed and grateful, I know that my children at school will also be there when I tell them, it will be a good start to the school year. Good morning dear friend! the photo shows your great idea of planting crops, vegetables, trees. Wishing you a successful new school year, good luck teachers and students! Thank you very much friend, I hope so, and for the next week starts the school year! 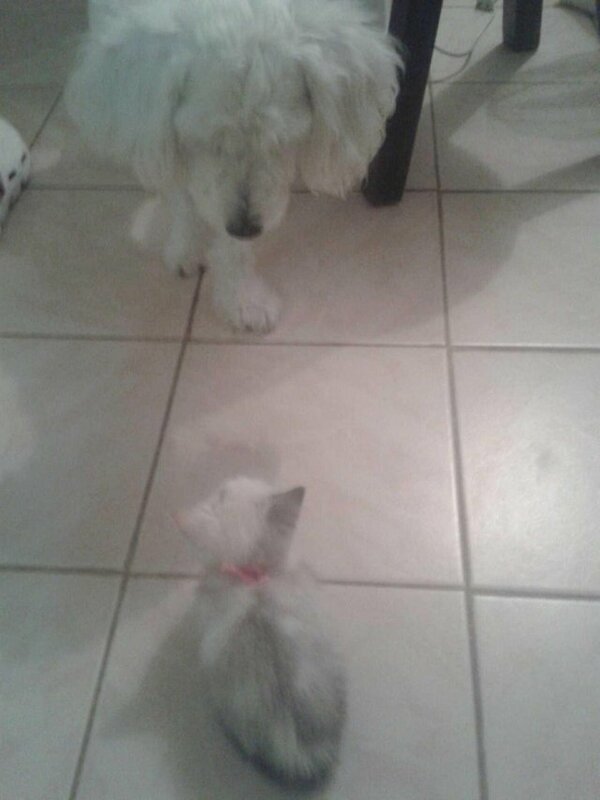 Regards..
Hello friend @leeuw how are you, sorry I had not responded I had a busy day, I tell you that my dog ​​and the kitten are becoming friends, my dog ​​is a bit hateful but they are getting to know each other little by little ..